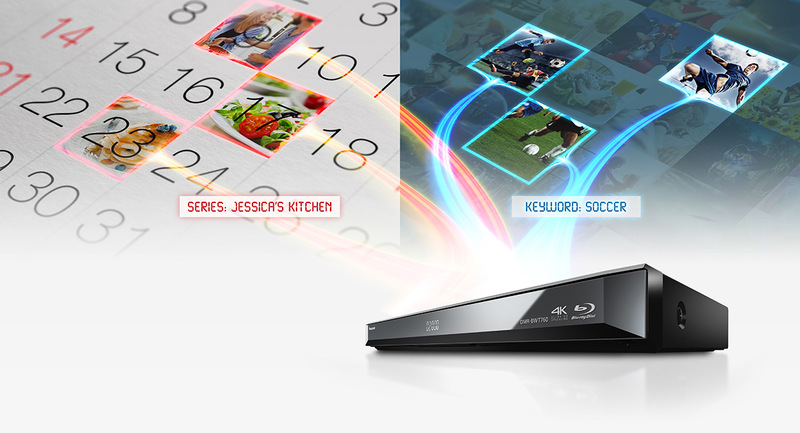 This smart Blu-ray Disc™/DVD player and HDD recorder features 4K networking with native 4K images from a digital camera or camcorder, plus remote streaming via TV Anytime, internet apps and a Twin HD Tuner. It also offers five times more HD recording with a 500GB HDD and 341 hours (HM Mode) HD recording. There’s even a mode that automatically records your favourite content. You’ll love the enhanced picture quality created by our unique 4K Direct Chroma Upscaling technology. By upscaling Full-HD chrominance and luminance signals directly into 4K signals, this technology achieves higher-precision image processing. It all translates into 4K images with natural textures and incredible depth. 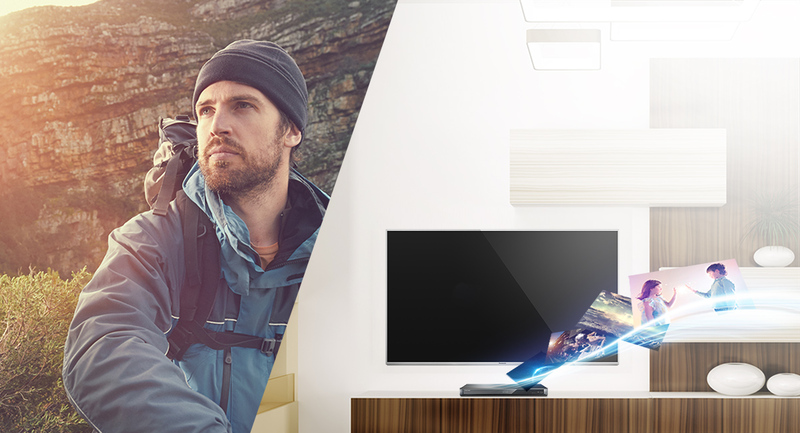 Your Panasonic Blu-ray Recorder can now bring the ever-expanding world of stunningly detailed 4K content* into your home. As well as upscaling Blu-rays to 4K*, it lets you record 4K content* onto its built-in HDD and view 4K video recorded to SD card by Panasonic LUMIX cameras and camcorders. * 4K 25/30p MP4(Bit rate : Up to 100Mbps / Resolution : Up to 3840 X 2160 pixels). * SD card playback is possible with the DMR-BWT760 and PWT560. Viewing by the DMR-HWT260 is via USB connection. * This image shows the DMR-BWT760. You can watch drama, news, sports and other programs you missed while you were away from home, without even having to record them. They're ready for you to watch in your free time. 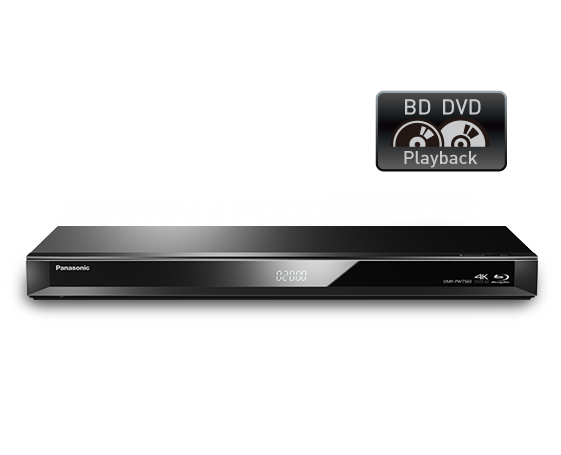 Many Panasonic Blu-ray recorders can send recordings and live TV broadcasts over the Internet to smartphones or tablets outside the home. You just need a network connection. * Requires to download Panasonic Media Center App to use TV Anytime. Requires broadband internet. * Only works on one device at a time. By registering TV programs, such as cooking programs, with the Series Recording function or a Keyword like “Soccer” with the Keyword Recording function, they can be automatically recorded and stored each time they are broadcast. 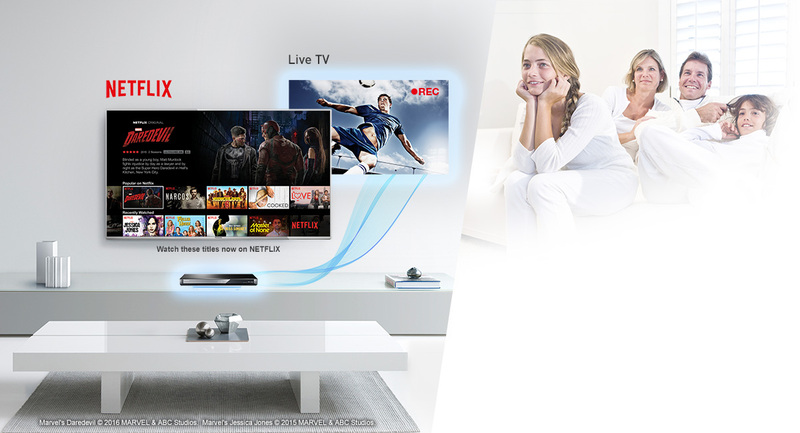 This eliminates the possibility of forgetting to record each program, and lets you watch the programs at any preferred time.